The Government Information and Communication Office discussed with the Ministry of Transport the directives of the Council of Ministers on the formation of the departments that have a connection with the Council of Ministers. 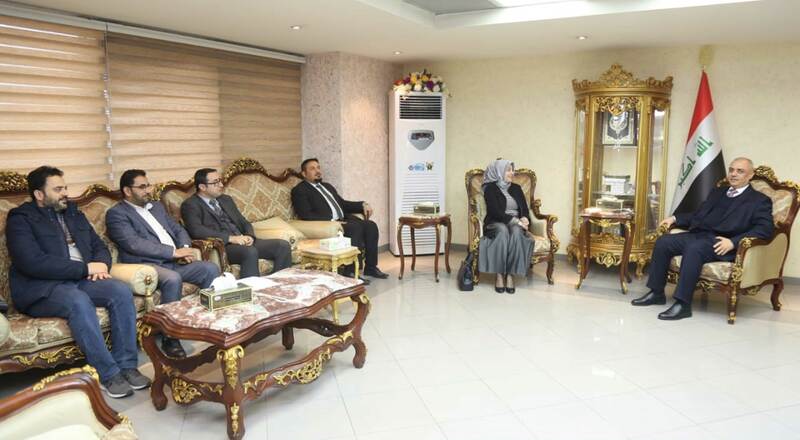 This came during a visit by the delegation of the Government Information and Communication Office in the General Secretariat of the Council of Ministers and the Ministry of Transport and met with the Minister. The two sides stressed the need to establish a link between the Ministry of Transport and the higher authorities in order to achieve effective institutional work. To the State institutions without obstacles, in addition to the formation of the composition of the rhythm of all the sections associated with them to achieve the objectives of its formation. For his part, the Minister of Transport expressed the readiness of cadres to participate in all the supporting teams in all formations for any service effort provided to the citizen and within the activities adopted by the Secretariat General of the Council of Ministers.